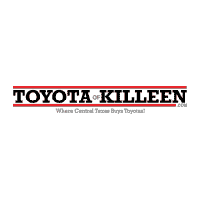 At the Toyota of Killeen parts department, you will find an extensive inventory of genuine Toyota parts and accessories. We also have the ability to quickly order any part or accessory your vehicle needs if we don’t currently have it available at our department. Along with our extensive selection of genuine Toyota parts and accessories, we have the experience needed to match your specific Toyota model with the specific part needed to ensure the longevity and reliability of your vehicle.In the event that your vehicle needs something replaced, our certified technicians will fit each part for optimal performance. As with anything taken care of at our service center, if you need a part or accessory replaced, we will ensure that we return your vehicle in better shape than when it first arrived. Further, if you purchased a Toyota from our showroom, you may be familiar with the Lifetime Engine Warranty that came with your new model. With this warranty, a large portion of the work and replacements performed by our team will be covered. In addition to providing superior service at our parts and service center, we want to help you save along the way. Check out our available parts specials to see if you can acquire a deal or incentive on the part that your vehicle needs. We also offer a number of service specials to help you maximize your savings at our dealership. Be sure to check our special pages out regularly to see if we can help you get the replacement parts or quick fixes you need to stay safe out on the road at a price you can afford. Call us today at 254-534-6473.